Blog What Can a Holistic Tarot Reading Do for You? Divination and fortune-telling both work based on these two principles. They obviously don’t work without the reader but if you are human, you are more or less psychic… and if you are in the slightest bit psychic, looking at archetypal imagery, will begin bringing information to the surface. The kind of questions you could be helped with by a Holistic Tarot reader covers every aspect of life and work best when you focus on how to remove obstacles to manifesting your goals. Hence an awareness of what those goals might be is a good starting point before you contact a Holistic Tarot reader. You will find sample Do and Don’t questions for holistic relationship Tarot readings HERE. A Holistic Tarot reader will be trained at in least one other therapy/healing modality, in order to give helpful advice based on the insights revealed by the cards. This is something to bear in mind if you specifically want a Holistic Tarot reading and are not sure if the Tarot reader you are thinking of asking for a reading has the right background. Don’t be afraid to ask. 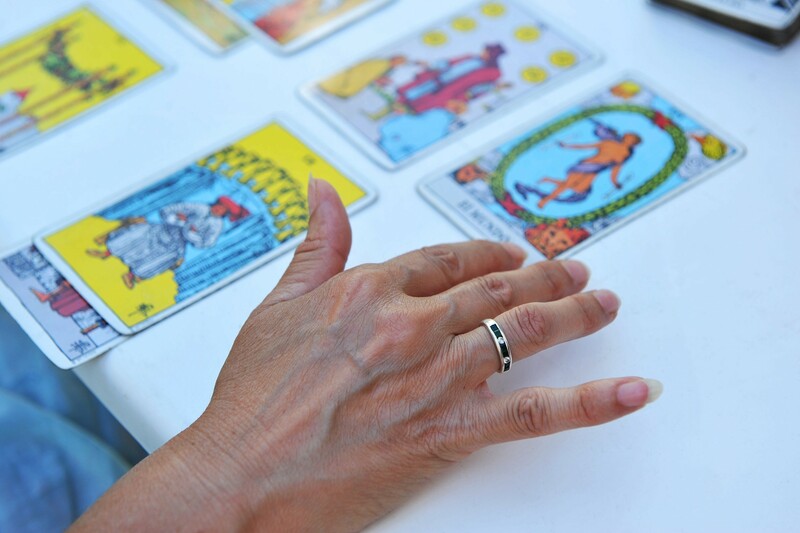 A professional Tarot reader will give you frank and honest answers… and if they are at all cagey about their background, you know they are not right for you. Please understand that I am not judging anyone who just straight up reads the cards or tells fortunes. Nor do I pass judgement on clients who want their fortunes told. However, I do wish that people were more aware of the nature of time itself because the future is most definitely NOT set in stone and many ‘predictions’ end up becoming self-fulfilling prophecies. This doesn’t mean a Holistic Tarot reading can’t show you anything about possible outcomes or trends for the future. It absolutely can… and it is often a lot more accurate than a weather forecast – especially if you stick to the sage advice of the ancient magickal axiom, ‘spell long, divine short’… meaning that a spell should be cast well in advance but divination works better for a shorter time frame. My own preferred time frame for forecast type readings is 6-8 weeks.